METHOW MADE DISPLAYS LAND IN STORES THIS WEEK! Methow Made displays, designed by TwispWorks partners Corin McDonald and Brice Butler and hand built by Brice Butler, are landing in stores around the Methow Valley this week! The displays, made partly from reclaimed wood, were built to hold all the Methow Made certified products and show them off to the public. In addition to the design/build team of Corin and Brice, metal artist Steve Ward, also a TwispWorks partner, made the steel stands and brackets that hold the displays together. Displays have been placed at the Mazama Store and Glover Street Market so far. In the next week look for displays in other local retailers! 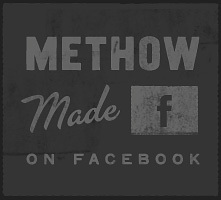 Posted on June 9, 2013 by Methow Made.